House Majority Leader Kevin McCarthy (R-Calif.) has taken his name out of consideration to be the next speaker of the House. This week’s trivia question is: Who was the last person elected speaker who was not his or her party’s House leader or whip? Last week’s question was: Who was the last person who received the World Series Most Valuable Player Award and later ran for Congress? The answer? Bobby Richardson. 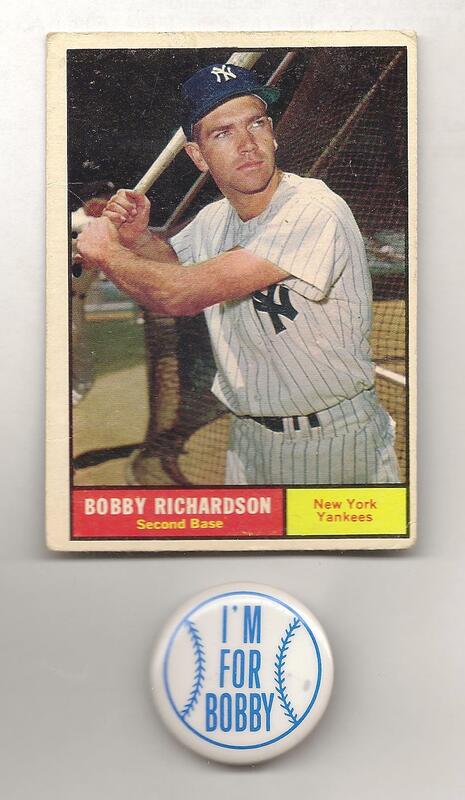 The second baseman of the New York Yankees, he was the World Series MVP in 1960 — even though the Yankees lost to the Pittsburgh Pirates in seven games that year. In 1976, he was the Republican nominee for Congress in South Carolina’s 5th District, where he narrowly lost to Rep. Ken Holland (D). The randomly-selected winner is Antony Pate of Washington, D.C. He wins the coveted Political Junkie button.